As mentioned yesterday we have a lot to tell you! This past week end was surely a great one a lot of weddings going on on our lakes and we want to show them all! Without considering the June’s wedding we would love to speak about soon! long week end if we consider that it begun last thursday with Nina and Scott’s wedding on Lake Orta. An intimate ceremony at Villa Bossi. Bridal bouquet was really original! 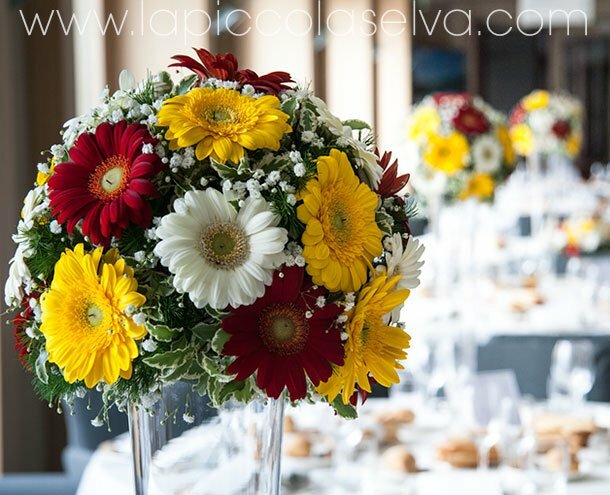 It was created by Monika – La Piccola Selva floral designer. 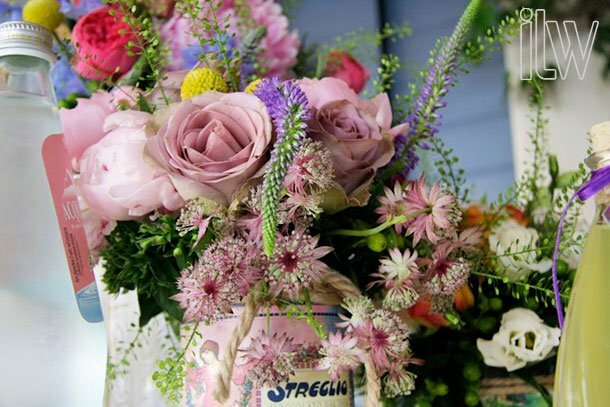 Peonies, light pink roses with little blueberries, figues and olives, a wonderful combination! rom Lake Orta to Lake Garda! Katiuscia and Angela planned Barbara and Rocco’s lovely wedding close to Torri del Benaco. She is coming from Austria and he is coming from Italy but both live in Singapore. Have a look to lovely shots Photo27 took…. just a dream! Congratulations guys! 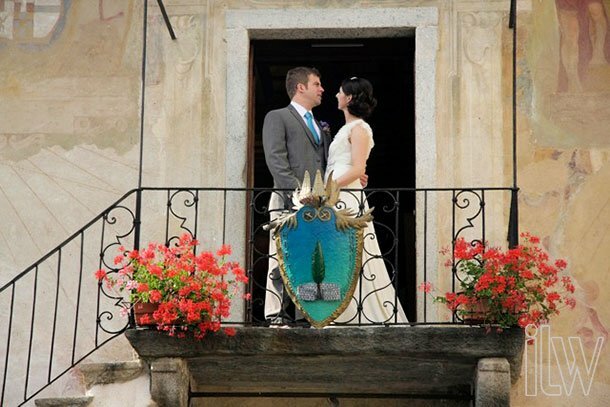 riday we came back to Lake Orta where Valentina planned Helen and Matt’s romantic wedding. 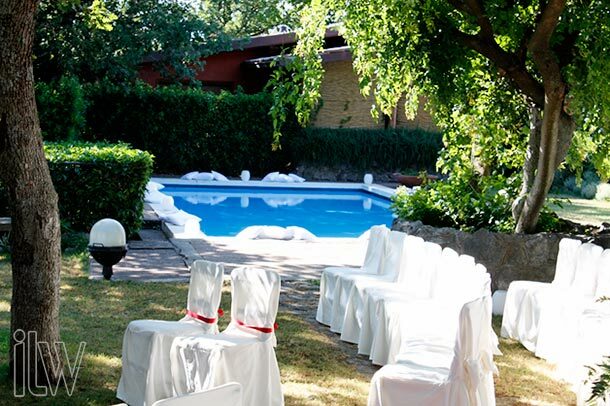 Civil ceremony was held at Villa Bossi and reception to follow at restaurant Ustaria Ca dal Rat. Helen wanted a very special floral decoration, country feeling ad full of colors… we will surely come back to tell many more details with official pictures too. Now you can see some of ours we took on the day! n the morning of the same day Barbara and Filippo got married at Villa Bossi. If Helen and Matt chose a country style, Barbara and Filippo opted for a light and joyful theme with decorations made with gerberas. They were arranged in the three colors bride loves: orange, yellow and white. 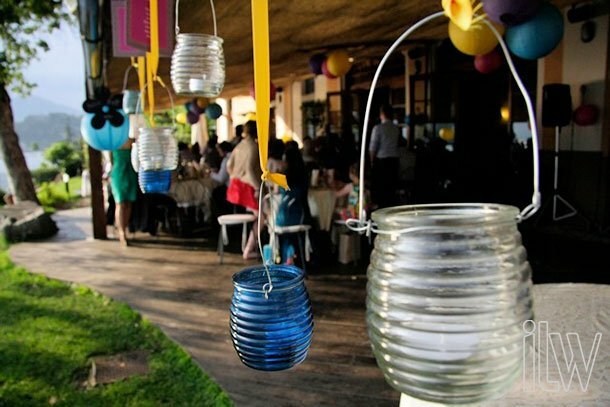 Same color were used also for the centerpieces for the reception that was held to Hotel San Rocco. 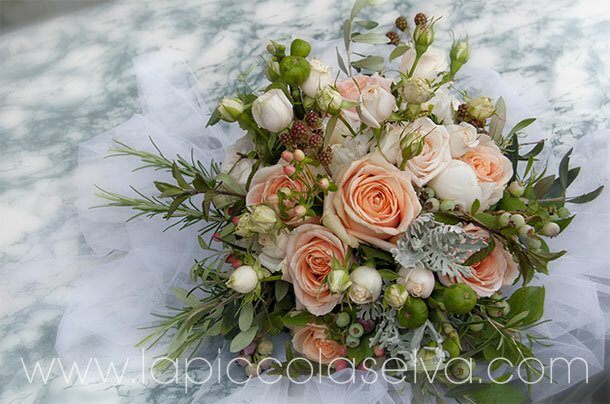 All decorations for Barbara and Filippo’s wedding have been creted by Monika – floral designer of La Piccola Selva. aturday was the turn of Ilenia and Stuart’s wedding on Isola Bella. Yesterday Monika told you some details but we really hope to come back telling about this wonderful event with many pictures and more details. e cannot forget about Southern Lakes! 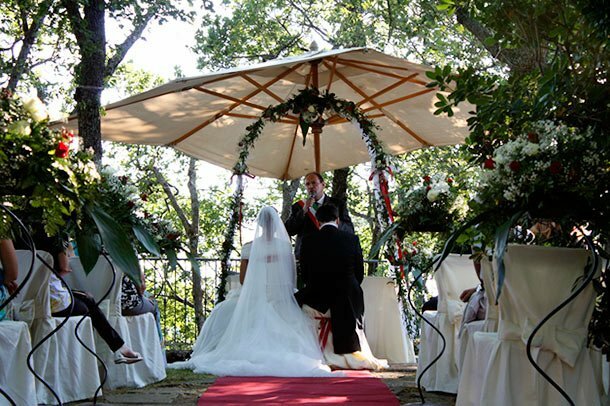 Stefania planned a charming wedding on Lake Albano close to Castel Gandolfo. A wonderful spot close to Rome. 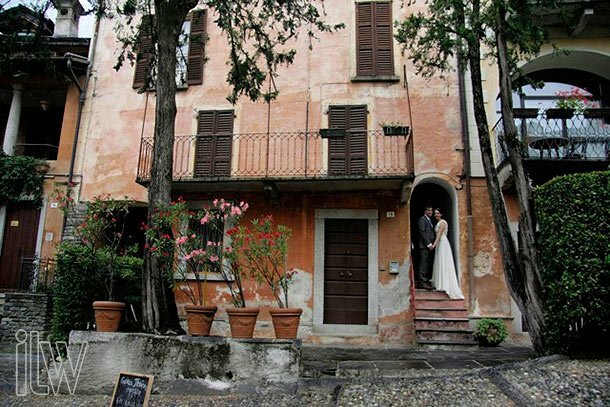 Stefania’s bride and groom, Laura e Mario choose a wonderful villa Pocci overlooking the lake. It was decorated with cushions and candles that made the atmosphere relaxing and intimate. 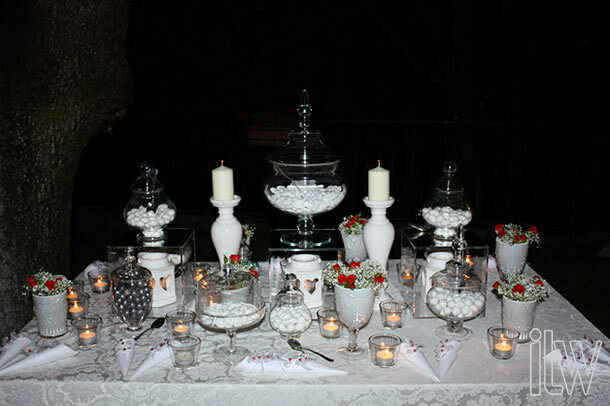 A delicious sugared almond tasting was the little touch for a romantic night. Our congratulations to our Italian couple too! What do you think? A busy week end full of events but surely one of our best one! Stay tuned for more pictures and events! 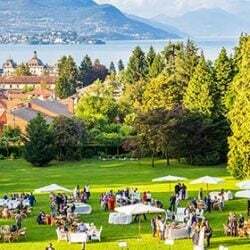 ← 7th of July: Ilenia and Stuart’s wedding on Isola Bella!